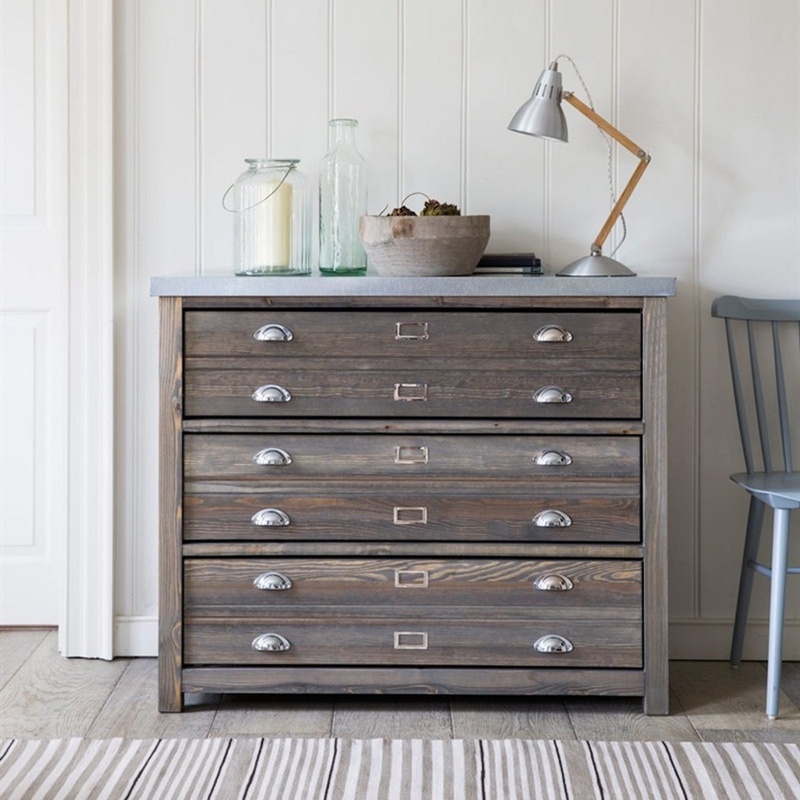 A refined piece with a rustic edge, the 3-drawer Aldsworth Architect's Storage Unit is perfect for storing paperwork in the study or tools in the potting shed. 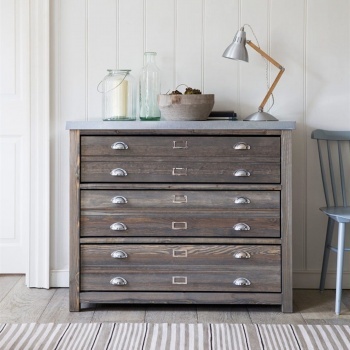 It is crafted in Spruce, with a classic dark wash and durable galvanized zinc top. Use your own personalised labels in our coated steel holders for a touch of organisation.